Millennial doctors are killing predatory health-care capitalism! 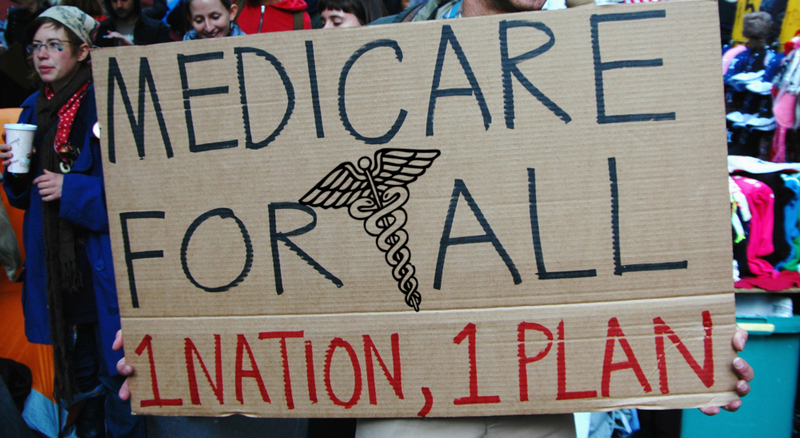 This June at the American Medical Association's annual meeting, a coalition of young doctors forced the AMA to debate its decades of opposition to single-payer healthcare. During the heated debate on the resolution, older doctors lectured their young challengers about the possibility that universal health care would erode doctors' income. The AMA has led the opposition to national healthcare since the 1930s, but by the end of the meeting the AMA had chartered a study group to consider its position. Polls of younger doctors show overwhelming support for the idea. They're entering a field dominated by huge corporate practices and don't see themselves as entrepreneurs striking out on their own and worried about government interference in "their business." Some of the shift in opinion has to do with the changing realities of medical practice. Doctors now are more likely to end up working for large health systems or hospitals, rather than starting individual practices. Combined with the increasing complexity of billing private insurance, many said, that means contracting with the government may feel like less of an intrusion. The debate is, at this point, still theoretical. Republicans — who control all branches of the federal government — sharply oppose single-payer. Meanwhile, single-state efforts in California, Colorado and New York have fallen flat. Also, doctors represent only one part of the sprawling health care industrial complex. Other health care interests — including private insurance, the drug industry and hospital trade groups — have been slower to warm to catchphrases like single-payer or universal health care, all of which would likely mean a drop in income. But increasingly physicians seem to be switching sides in the debate, and young physicians want to be part of the discussion.